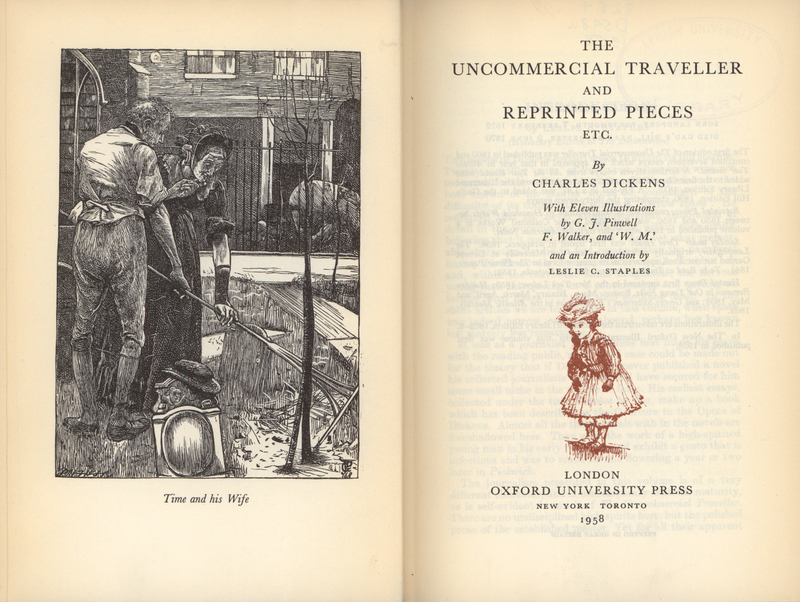 The Uncommercial Traveller; with Illustrations by Marcus Stone. London: Chapman and Hall, [1875?]. The Uncommercial Traveller is a collection of some of Dickens’s journalistic writings. Marcus Stone (1840-1921) was responsible for the illustrations in this Illustrated Library Edition. 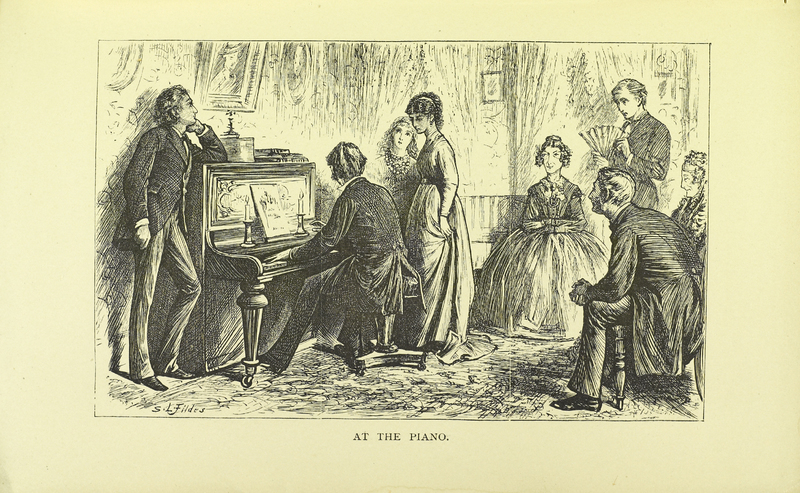 Our Mutual Friend; with Illustrations by Marcus Stone. London: Chapman and Hall; Philadelphia: Lippincott, 1876. Our Mutual Friend is a cautionary tale on the damage that greed and selfishness can cause to an individual and to a society. One of Dickens’s bleaker novels, it is considered by many modern critics to be his most complex work. It was the last novel that Dickens completed before his death. Marcus Stone (1840-1921) was an English painter, best known for illustrating works by Dickens and Anthony Trollope. 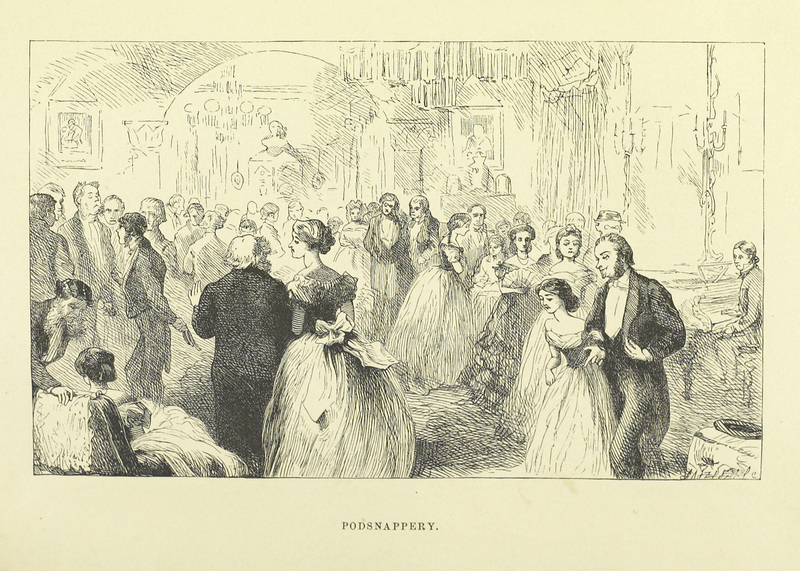 The Mystery of Edwin Drood, and Other Stories. With Illustrations. London: Chapman and Hall; Philadelphia: Lippincott, 1876. Dickens died with only six parts of The Mystery of Edwin Drood completed, three of which had been published at the time of his death. No one really knows how Dickens intended to solve the murder, although Dickensian scholars enjoy arguing for their pet solutions. In addition to the unfinished The Mystery of Edwin Drood, this collection of reprinted works contains: Master Humphrey's Clock; Hunted Down; Holiday Romance; and George Silverman's Explanation.